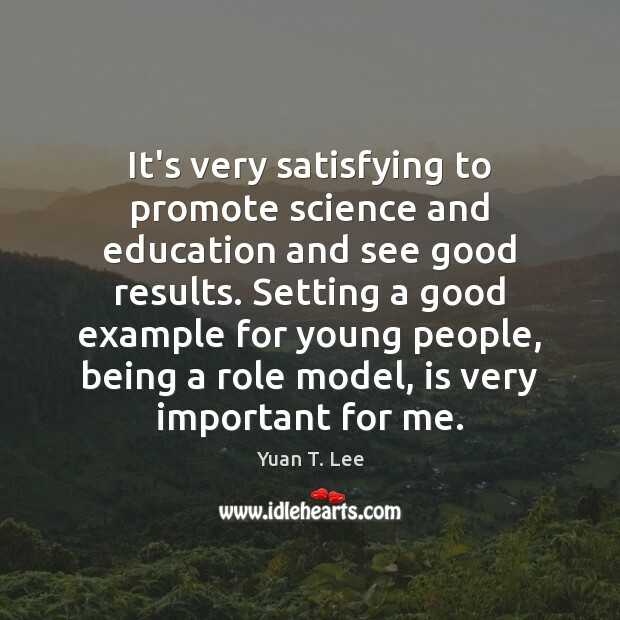 Quotations about Being A Role Model. Quotes to stimulate mind and drive action! Use the words and quote images to feed your brain inspiring things daily! I have learned from my own pain is that God's plan for all of us is peace. Being a role model to peace, and spreading peace through being peaceful ourselves. 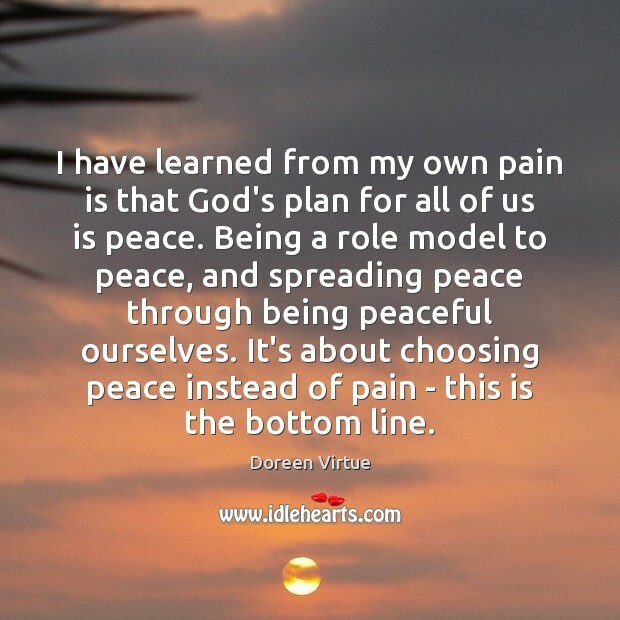 It's about choosing peace instead of pain - this is the bottom line. I take being a role model seriously. 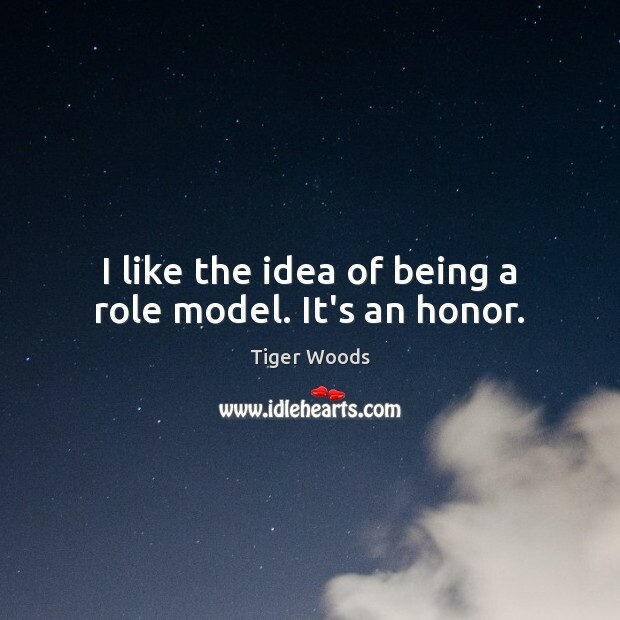 I like the idea of being a role model. It's an honor. 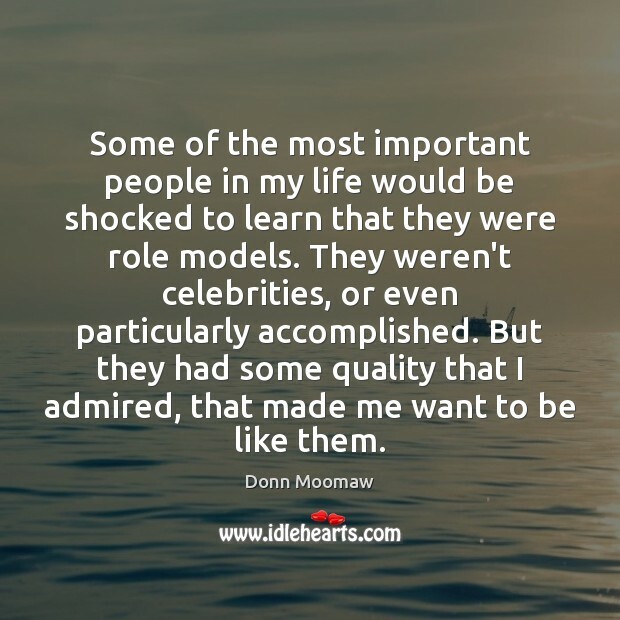 Some of the most important people in my life would be shocked to learn that they were role models. They weren't celebrities, or even particularly accomplished. But they had some quality that I admired, that made me want to be like them. 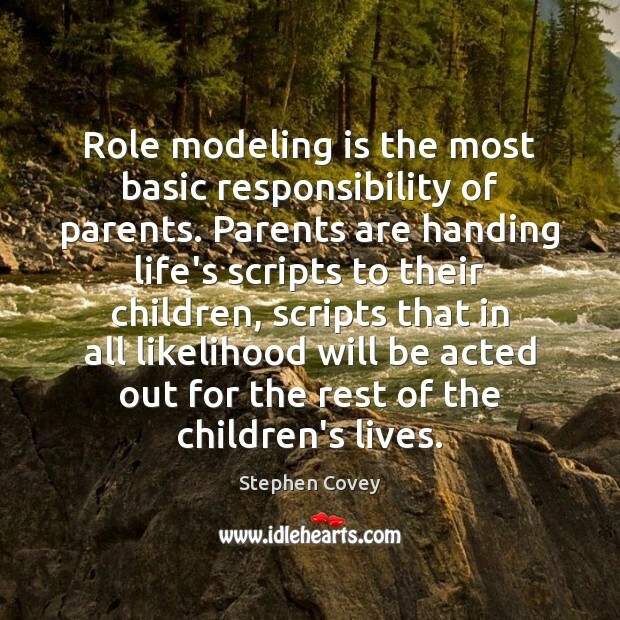 Role modeling is the most basic responsibility of parents. 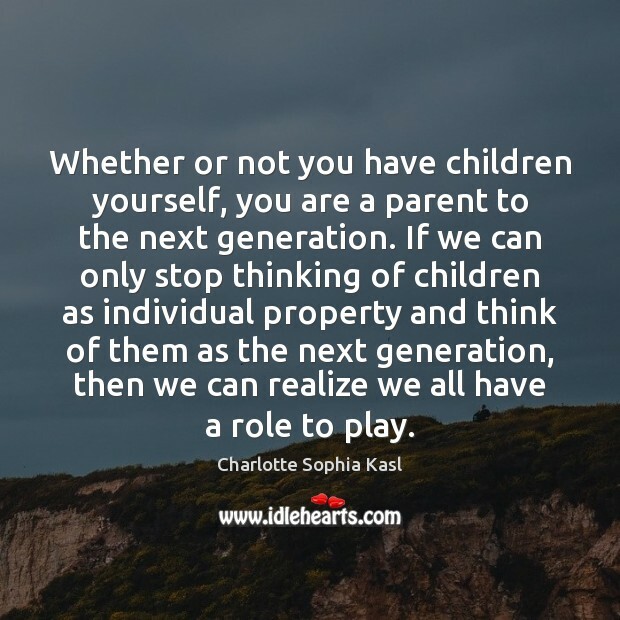 Parents are handing life's scripts to their children, scripts that in all likelihood will be acted out for the rest of the children's lives. 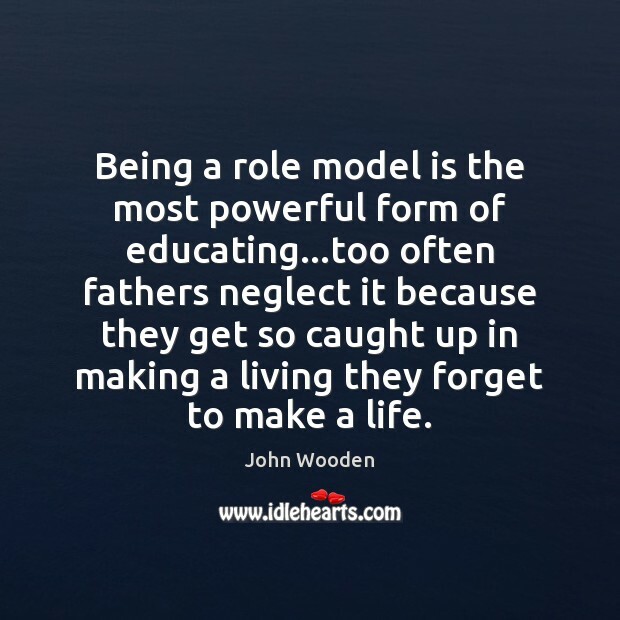 Being a role model is the most powerful form of educating...too often fathers neglect it because they get so caught up in making a living they forget to make a life. 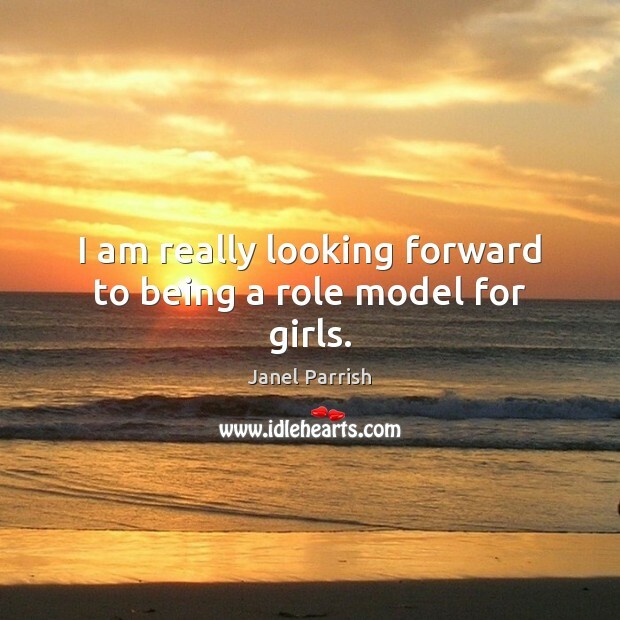 In terms of being a role model, I didn't start out to be one. I don't go to work every day with that in mind. 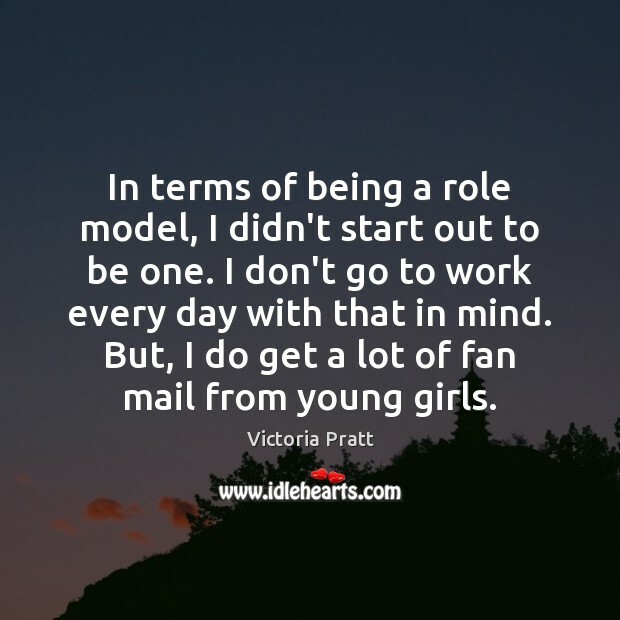 But, I do get a lot of fan mail from young girls. 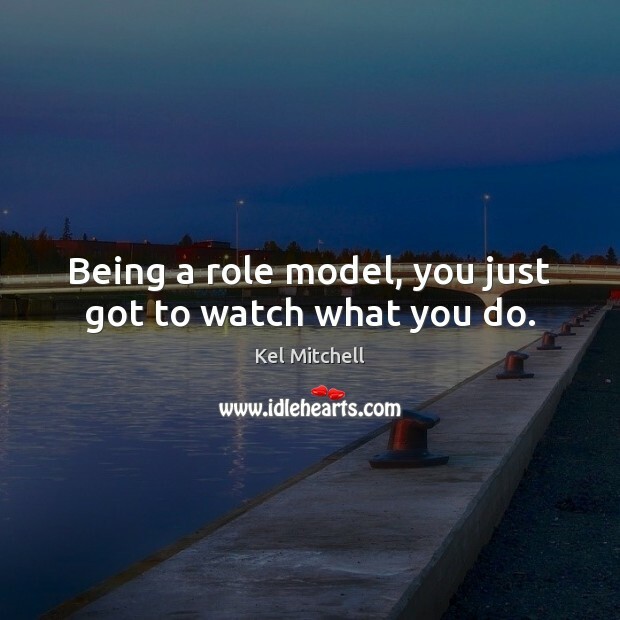 Everybody talks about being a role model. 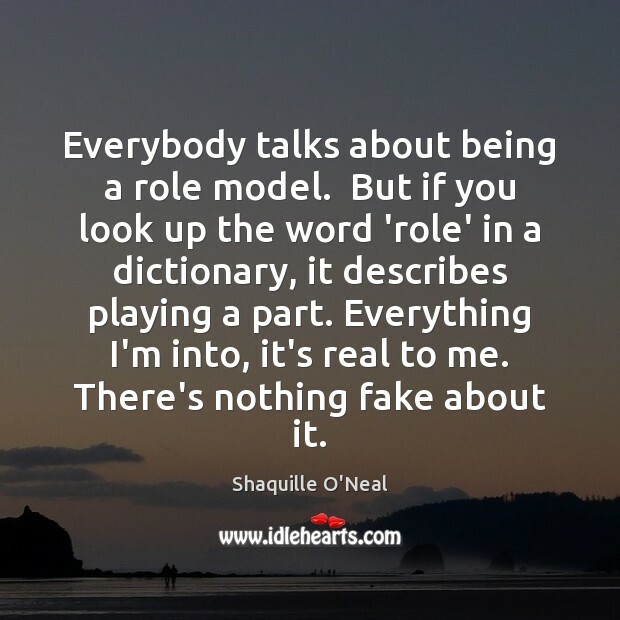 But if you look up the word 'role' in a dictionary, it describes playing a part. Everything I'm into, it's real to me. There's nothing fake about it. 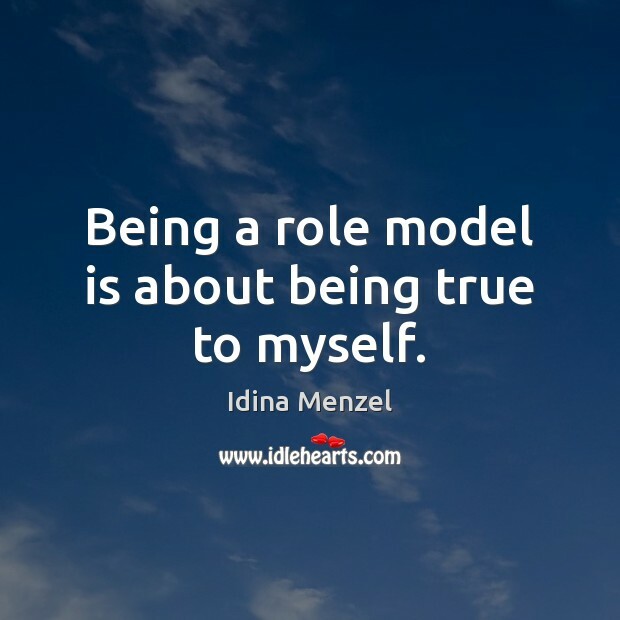 Being a role model is about being true to myself. 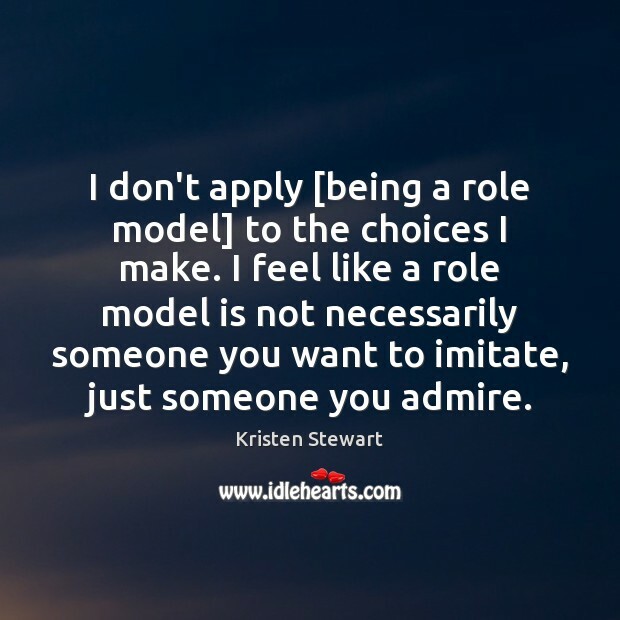 I don't apply [being a role model] to the choices I make. 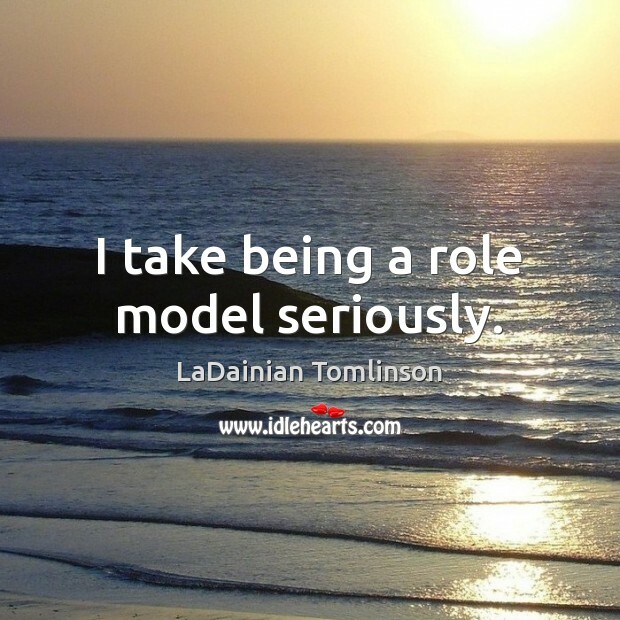 I feel like a role model is not necessarily someone you want to imitate, just someone you admire. 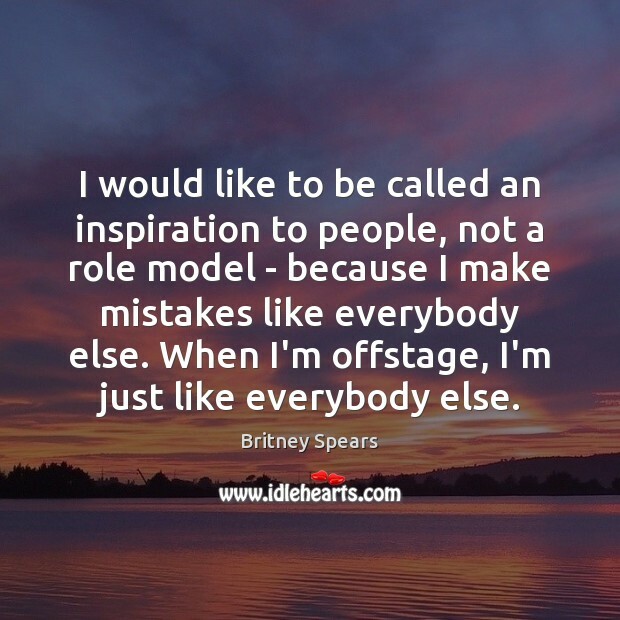 I think you have to embrace being a role model because you are in the public eye, and whether you like it or not, people are going to be affected by you positively or negatively, ... Public-wise, I really wouldnt do anything that would be detrimental to anybody else or to myself. And to a certain extent, I try to watch out and try not to do anything that would be bad for kids to see. So when it comes to being a role model to women, I think it's because of the way that I feel about myself, and the way that I treat myself. I am a woman, I treat myself with respect and I love myself, and I think that if I'm holding myself to a certain esteem and keeping it real with myself, then that's going to translate to people like me.